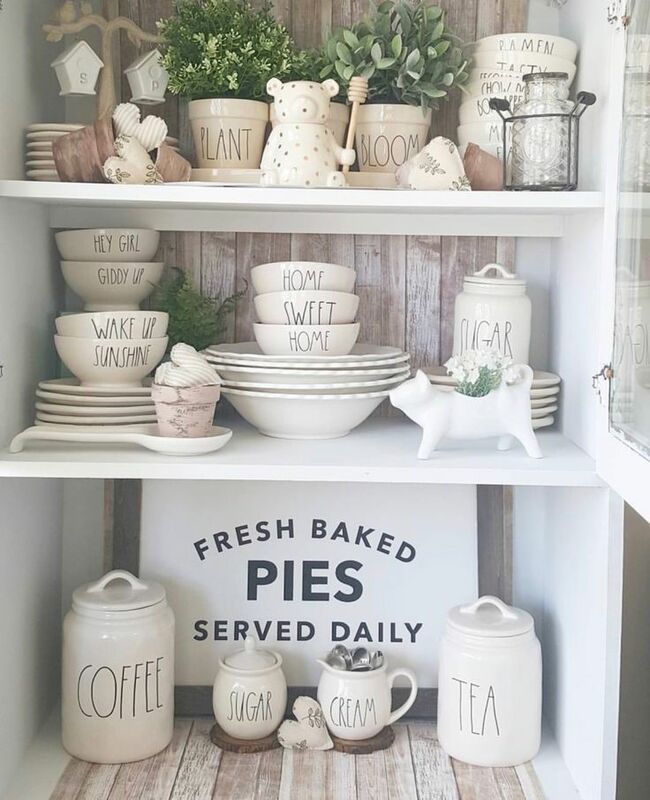 Are you ready to get inspired with over 40 different farmhouse wall decor and shelving ideas. Here are great ways to bring new life to your walls where you’ll find vintage signs, beautiful greenery, rustic shelving ideas, and hand crafted ceramics. A warm inviting farmhouse is about more than paint colors you choose to compliment wooden beams. It’s also more than accent pieces and other table top decor placed strategically around the rooms. You’re going to find that a true farmhouse vibe comes from adding the right wall decor as well as some modern rustic shelving. We have brought together a number of wall decor and shelving options for every room in the home. You’re going to discover open shelving ideas as well as ideas for bathroom organizing and space savings. We’re sure you will find inspiration for your next farmhouse wall decor or shelving project. We hope you’ll pin these ideas for a future project in your home. Here we’ve collected a few of our favorite pieces from our store to help you visualize your possible shelving display options.